Guy and Howard Lawrence wager that you really like their songs. How big are Disclosure in the United States, anyway? Their debut album Settle was one of the most critically beloved dance full-lengths in years, but they are only a phenomenon here in certain circles. Billboard ranked Settle as the 20th biggest dance album of the year, behind stuff you’ve probably never heard of, like Krewella. 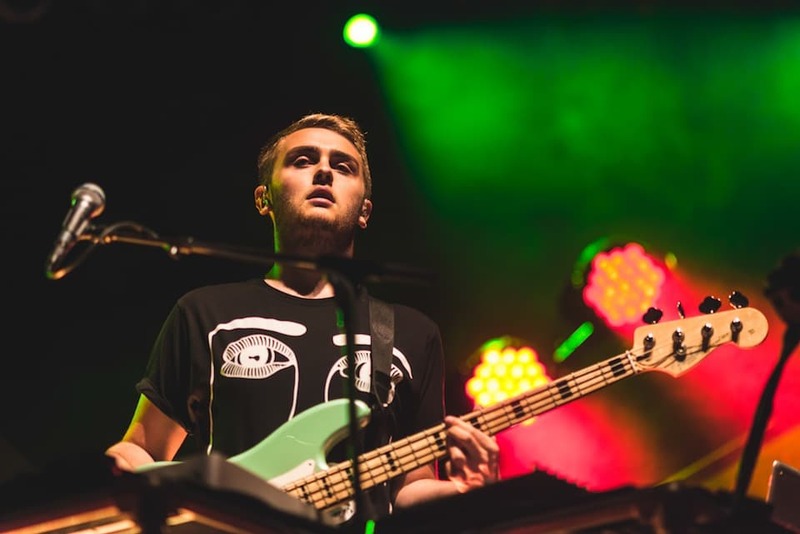 In some sense Disclosure are too pop in form for the underground but too textbook to hit the radio in just about any era; they are also billed prominently at this year’s Coachella and quickly sold out three consecutive nights at Terminal 5 in New York City. It was this question that was more lasting than the duo’s Friday night show itself. But first, there was Vic Mensa. The Chicago rapper is tagging along with Disclosure for a dozen or so dates, a nod to the Lawrence brothers’ hip-hop fandom. If out of his element, Mensa went about winning the crowd over with pure energy first and the strength of his songs second. Wearing a silver lamé jacket, he hopped around the stage wildly not unlike his close friend and collaborator Chance The Rapper. But Vic was canny and strategic, too, utilizing slices of jackknifing EDM beats to electrify the audience. He worked hard for his money—but that is the right first step. Disclosure hit the stage shortly thereafter, their arrival announced by an animated version of the face motif that has become their calling card. The hour-long set place their compositions in the spotlight: their light show and visual elements were understated and unimportant, especially in the context of EDM’s blown-out arena extravaganzas. They also played their songs fairly straight, with only minor new sounds and small tweaks worming their way into the mix. At times, this was distancing: Terminal 5 is a tall club and during the opening one-two of “F For You” and “When a Fire Starts to Burn,” you could have closed your eyes and guessed someone had just put Settle on shuffle. Consequently, this made the show’s subtleties even starker. “White Noise,” normally airy and twirling, was given texture by tangibly live bass. “Voices,” the album’s newest single, was introduced by a short but mesmerizing popcorn-drum intro. But for the most part, the show was simple: you came for Disclosure, and you got Disclosure. The highlight, without coincidence, was the stretch of early singles “Boiling, “Tenderly,” and “Flow.” These three are rougher patchworks compared to the tightly coiled songwriting of Settle, but on Friday night they were looser and drawn-out, a much needed antidote to the set’s assembly line smoothness. Still, does any of this matter? Disclosure have a whole album worth of incredible songs, so why not just play them straight? It is here where perhaps the role they occupy in the States is more than just a trifling concern. The audience at Friday night’s show was young and eager. It was perhaps less masculine than the crowd you'd find at a big dance festival, but I’d argue there is a fair crossover. If that’s the case, then Disclosure are an entryway to more classic styles of house music, to say nothing of the type of garage that never found a foothold in America.